Social structures are seen all forms of social interactions. These social interactions are the ones responsible for shaping social reality. Social structure can be broken down into five elements. These elements include social roles, statuses, groups, social institutions and social networks (Lamm & Schaefer, 1998). These elements form the foundation of social structure. According to social sciences, social structure can be defined as a social arrangement where actions of an individual person both and emerge and determine them (Schaefer, 2012). Social structure is more about macrosociology since the society is considered as an institution rather than individual entities. However, some sociologists have come up with several scales of a social structure such as macro scale which features social structure or a large social group. The meso scale is concerned with social network structure. This scale examines the ties between organizations or groups. The micro scale is concerned with how norms define the behaviors observed on individuals in a given social system (Lamm & Schaefer, 1998). When one talks about status, many people usually think it has to do with influence, fame or wealth. However, talking about status in terms of sociology refers to a wide range of positions that are socially defined in a given society from the highest to the lowest. For instance, in a society like ours, someone can have the status of a teenager, doctor or even the president. It is also possible for someone to have two or more statuses at the same time since one can be a doctor as well as a neighbor and a resident of New York. There are also two types of statuses, achieved and ascribed. An ascribed status is a status that one is given by a society without considering the person’s talents or achievements. The assignment is usually done after birth (Schaefer, 2012). Many conflict theorists are concerned with ascribed statuses. In my society, my ascribed statuses include being a daughter, female, sister, and 27 years old among others. On the other hand achieved statuses are the ones one get after achieving something in a society. My achieved statutes include being a student, friend, classmate, teammate, and roommate. In many cases, there is little one can do in order to change their ascribed statuses. However, one gets achieved statutes through one’s efforts. Being a computer expert is through one’s effort. In order for one to acquire an achieved status, one must work for it. As demonstrated earlier, one can have many statuses, but there is always a master status in one’s social life in a given society. A master status has many and conflicting statuses. The master status can elevate or lower someone’s status in the society. A master status dominates all others and is the one that is responsible for shaping someone’s position in the society (Luckmann & Berger 2011). In my case, my current master status is being a student. In my society, everybody knows that I am a student and everybody identifies me with schooling. Therefore, I can conclude that my master status is being a student. Some roles associated with the statutes mentioned above include the fact that as a daughter I have to be answerable to may parents and elders in the society. As a student I have to attend and work hard in school. I also have to act as female is expected while at the same time ensuring that I am the best sister to my siblings. There are times when all or some of these roles come into direct conflict with each other. For instance, there was a time I was studying for a very important exam and my younger sister wanted me to take her to the park at the same time. The statuses of being a student and being a sister were in direct conflict and I had to make a tough decision whether to be a good student or be a good sister (Ebaugh, 1988). The final decision was to refuse my sister’s request. I belong to several groups in our society’s social structure. My primary group is our study group at school which has six members. We meet everyday and share ideas. Most of the meetings are study oriented although we also talk about other things in general. My secondary group is our community’s welfare group. This group has more than 50 members and we usually meet once or twice per month. Most of the issues that we discuss are how we can improve our community. My study group holds great value to attendance and respect among the members. The members of the group are supposed to be polite and should treat each other with respect. Looking down upon another member is frowned upon. The idea behind the group is not only to help each other academically, but also help each other socially. The community welfare group (social structure) is meant to create awareness among the members about problems that affects communities. Attendance is not mandatory although there are values and norms that one is expected to portray. They include respect among the members and respect for authority. Status, mass media, roles and groups have played a big role in shaping my self-identity, behaviors and values. The statutes have helped me identify myself. These statutes play a big role in the way I behave and the way I present myself to the public. There are certain values that are expected of me in the society and I have to uphold them. The same goes for social media and social structures in general. Mass media has also played a big role in my life. Social networking has eased the way I communicate and exchange ideas with members of my groups. It has also eased the ways in which I can express myself. Statutes and groups not only serve elements of a given social structure such as roles, they also play part in linking an individual to the larger society. Each and every person belongs to a particular unique group. The social network makes it possible for people from different groups to interact and form larger relationships. This is why social networks are considered as one of the key elements of the social structure alongside other like statutes. Ebaugh, H (1988) Becoming an ex: The process of role exit. Chicago, IL: University of Chicago Press, Ltd.
Lamm, R. & Schaefer, R (1998) Sociology: Instructor’s manual. New York, NY: McGraw-Hill Education. Luckmann, T. & Berger, P (2011) The social construction of reality: A treatise in the sociology of knowledge. Boston, MA: Open Road Media. Schaefer, R (2012) Sociology: A brief introduction. New York, NY: McGraw-Hill Education. Nice discussion about social structures. 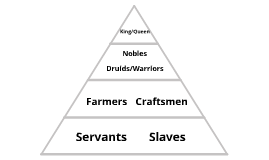 In this post you said that social structure can be broken down into five elements. Truly this five elements are very important to keep our social structures safe.